Cumulative Update 5 for Microsoft Dynamics NAV 2015 has been released today. It includes almost all application (Administration, Client, Finance, Inventory, Jobs, Manufacturing, Marketing, Purchase, Sales, Server, Service and VAT/Sales Tax/Intrastat) and very useful platform hotfixes and regulatory features that have been for Microsoft Dynamics NAV 2015. It also has a lot hotfixes for following localizations: Australia, Belgium, Switzerland, Czech Republic, Germany, Denmark, Spanish, Italy, France, North America, Netherlands, Norway and Russia. You can download Cumulative Update 5 for Microsoft Dynamics NAV 2015 from here. This CU is named as Build 40262. Few days ago, Microsoft has already published Cumulative Updates for Microsoft Dynamics NAV 2013 (CU 24; Build 40118) and Microsoft Dynamics NAV 2013 R2 (CU 17; Build 40076). 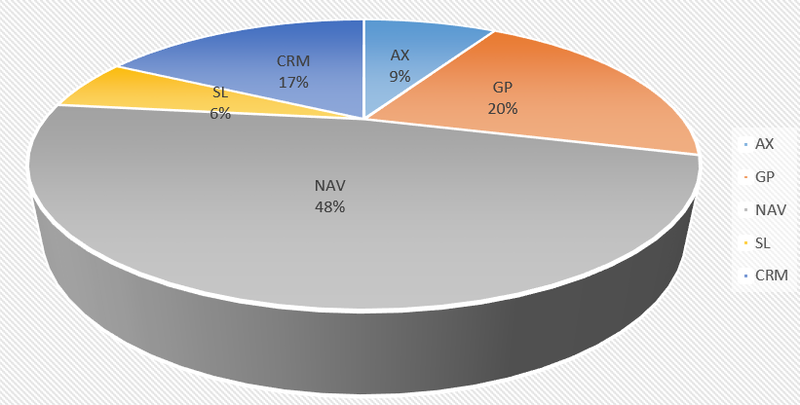 Last year, I wrote about number of Microsoft Dynamics NAV implementation on my blog. On last Convergence we got information that NAV has 102.000 customers with 8.000 customer adds in this year. Now, we have new information for the last year. Microsoft Dynamics NAV has 8.000 customer adds again. This mean, Microsoft Dynamics NAV is the most popular ERP solution on the world with 110.000 customers all around the world. NAV is also Microsoft Dynamics solution with the best growth in year. Microsoft Dynamics NAV increases its participation in Microsoft Dynamics family from 46% to the 48%. People still trust and like NAV globally. The last version was really excellent and we can expect more and more in following version. And, one additional article about Using Windows Powershell cmdlets to modify companies and databases (not part of Coffee Break story). All articles are wrote by Jasminka Thunes (Escalation Engineer Dynamics NAV EMEA), Lars Lohndorf-Larsen (Escalation Engineer Dynamics NAV EMEA) and Bas Graaf (Senior Software Engineer Dynamics NAV).